Introduced for the first time as hybrid, the Corolla Saloon delivers a spirited drive through its new innovative self-charging hybrid powertrain. With a completely new approach to design and engineering, the world's best selling car has it all: a sleek new exterior, a completely refurbished interior, a span of upgraded technology and, probably most important of all, updated safety features. The Corolla Saloon is back - and it's better than ever. Stylish, efficient and comfortable, the new Corolla Saloon is a joy to drive whatever your lifestyle. 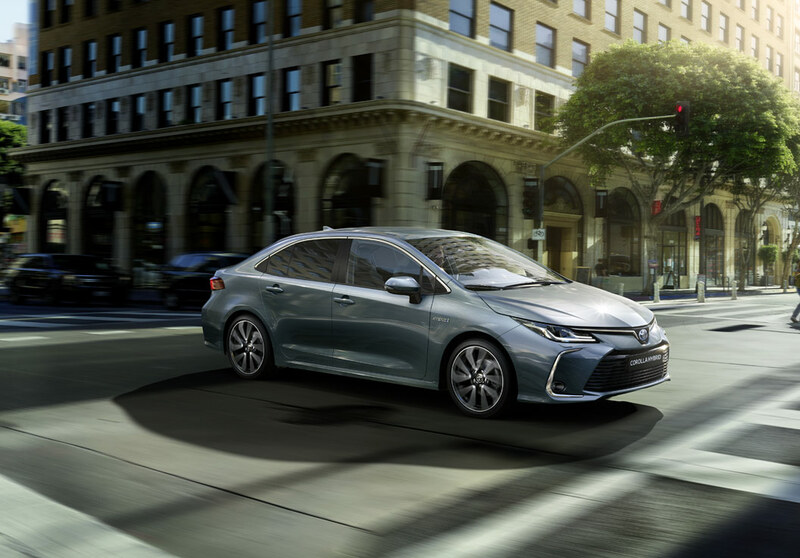 Whether you're driving in the city or cruising along the motorway with an automatic transmission, you'll benefit from the self-charging hybrid powertrain, plus the reliability for which Toyota is renowned. The Corolla Saloon has an undeniable sense of power, characterised by refined, flowing lines and a wide yet streamlined body. Its distinct exterior is accompanied by a wealth of contemporary details, including LED lamps, chrome accents and 18" bi-tone alloy wheels. Offering thoughtful technology and class-leading comfort for every passenger, the interior is as relaxing as it is convenient. With clever storage spaces, ample legroom, premium finishes and a boot capacity of 470 litres, you’ll find your journey as pleasing as the destination. Built using the Toyota New Generation Architecture (TNGA) platform, Corolla Saloon delivers an all-round superior drive. From the improved suspension and dynamic handling to the low centre of gravity and 1.8 litre petrol hybrid - the Corolla Saloon is every part a modern icon. The new Corolla Saloon is more than just an excellent drive: the comfortable cockpit is designed around your needs, the updated Toyota Safety Sense package makes sure every road user is as safe as possible and the new hybrid powertrain is exhilarating, get from 0 to 100km/h in 11 seconds. Spirited and responsive in the city, the 1.8 or 1.6 litre hybrid engine provides a smooth, relaxed drive - whatever the situation. What's more is you’ll never even need to plug it in, because the Corolla Saloon is self-charging. Get up to 83 mpg - this is hybrid, the way it was meant to be. With features such as voice recognition and connected services, you can make calls, control your music and enjoy a truly connected drive (standard on Luna Sport & Sol grades). Best in class safety system as standard. Toyota Safety Sense takes driver assistance to new heights. The system has been enhanced with even more intelligent features that can actually help avoid collisions. But rest assured, you will always be in control. Which Corolla Saloon are you? 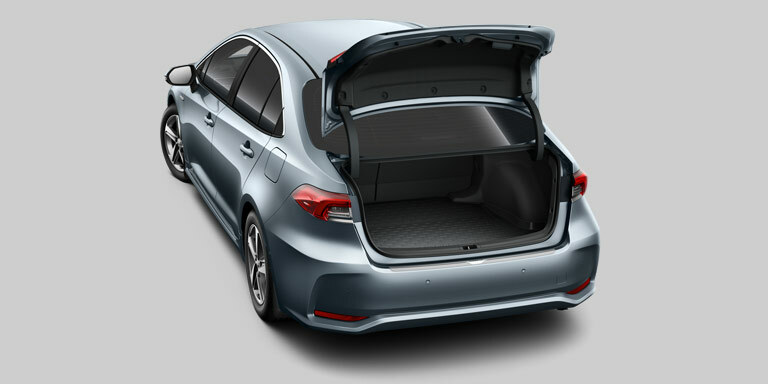 Register your Interest in the 2019 Corolla Touring Sports You can now register your interest in the new 2019 Toyota Corolla Touring Sports, ahead of its arrival in January 2019.